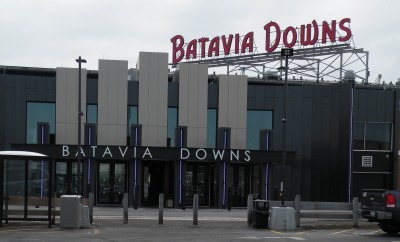 Superstars from the NFL, NBA, NHL, MLB and professional wrestling will visit Batavia Feb. 16-17 for the Legends & Stars autograph and sports collectibles event taking place at Batavia Downs Gaming Center, 8315 Park Road. Scheduled to appear on Saturday, Feb. 16 are NFL greats Tony Dorsett, Ed “Too Tall” Jones, Drew Pearson, Raghib “Rocket” Ismail and Lawrence Taylor. Joining them on Saturday will be former Buffalo Braves great Ernie DiGregorio and NBA Hall of Famer Robert Parish, MLB great Joe Carter, WWE Hall of Famer Ricky “The Dragon” Steamboat, and Buffalo Sabres legend and NHL Hall of Famer Gilbert Perreault! Among the headliners on Sunday, Feb. 17 will be current and former Buffalo Bills greats including Josh Allen, Kenneth Davis, Fred Jackson, Stevie Johnson, Marv Levy, Fred Smerlas and Steve Tasker. Joining them will be MLB stars Dave Hollins, Tino Martinez and Dave Stewart, and NFL and WCW legend Steve “Mongo” McMichael. Admission to the event, which will also feature dozens of sports card and memorabilia dealers from across the country, is just $8. Children under age 12 will be admitted free when accompanied by a paying adult. Individuals 18 and older will receive a $7 free play voucher for the casino with the purchase of admission to the Legends & Stars event. Additionally, paid admission will include one free autograph from Ricky Steamboat on Saturday and Dave Hollins on Sunday. Show hours are 10 a.m. to 4 p.m. both days. For more information on autograph pricing, signing times, mail orders and purchasing advance autograph tickets, please visit www.legendsandstars.net.